“Hinamatsuri” is a festival in Japan which is held on the 3rd of March to wish for the health and happiness of a girl child and each house displays a set of Hina Dolls on the 3rd March. 2: Separate the rice in half and add “yakiniku no tare” (1 tablespoon) to one of the halves and mix. 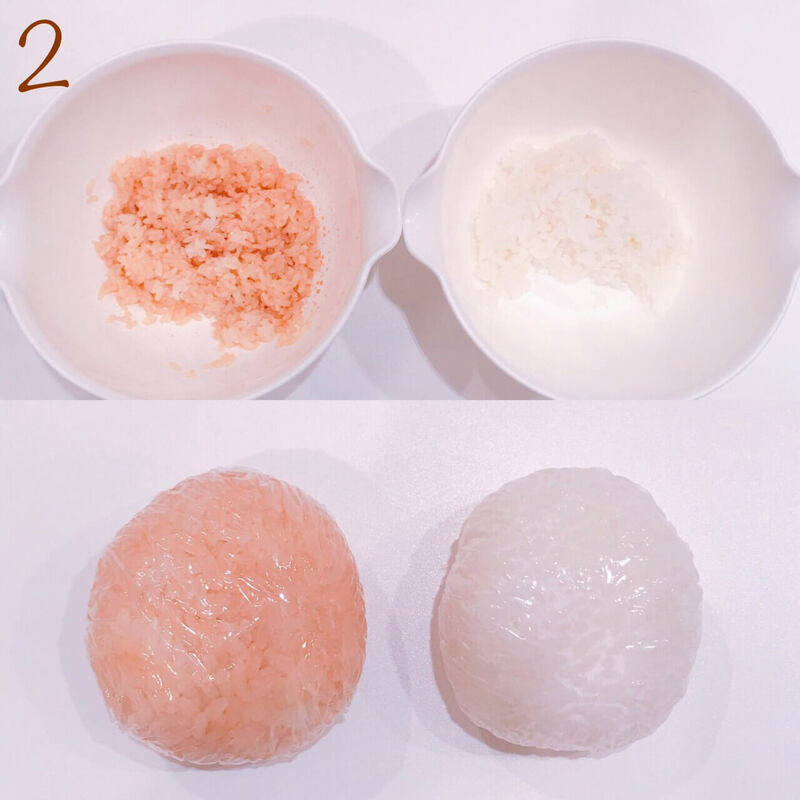 Shape the rice like an egg and place it on top of some plastic wrap until it gets cold. 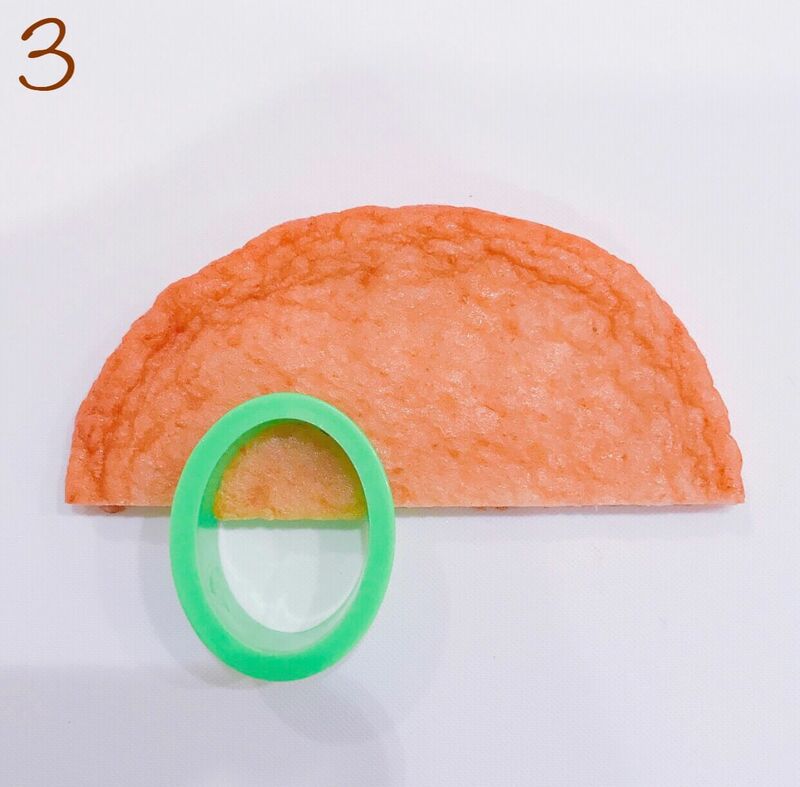 3: Cut out the satsuma age as shown in the photo to make the ears of Rilakkuma by cutting it out. Take off the thin part of the satsuma age and cutout the white part to make the parts of Korilakkuma. 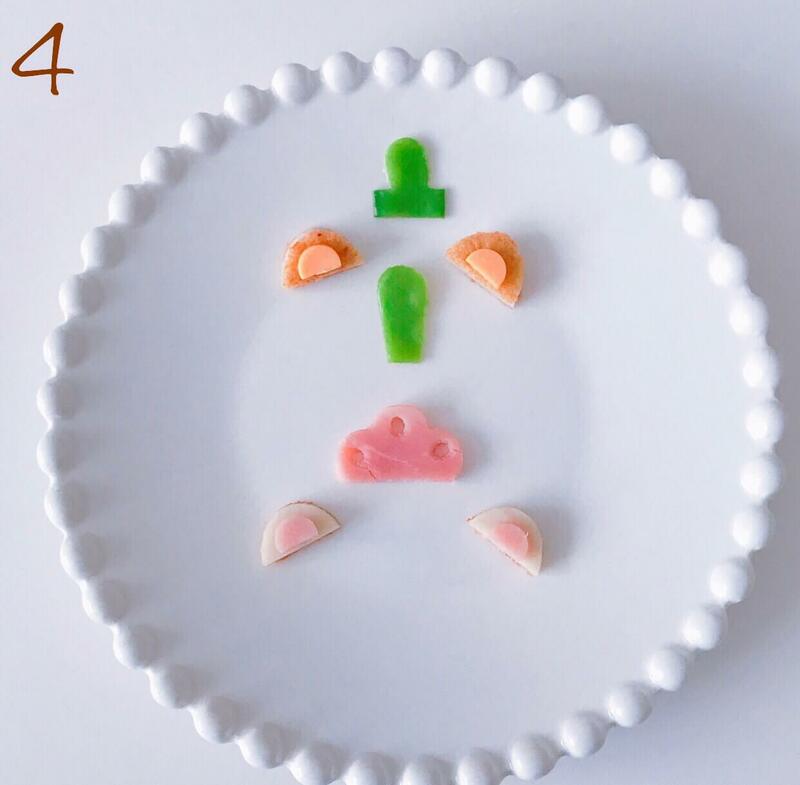 Use the leftover satsuma age to make the round-shaped hands. 4: Make the other parts. Use the kinusaya to make the hat and rod and use sliced ham to make the crown and fan. Use cheder cheese and sliced ham to make the inside of the ears. 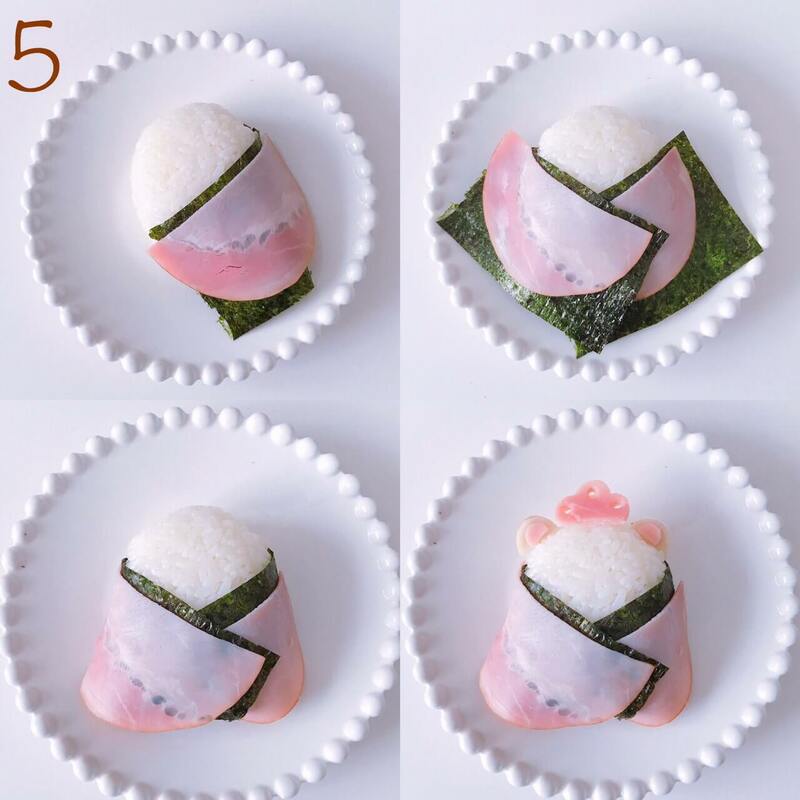 5：Wrap the seaweed on the rice ball as shown in the photo. 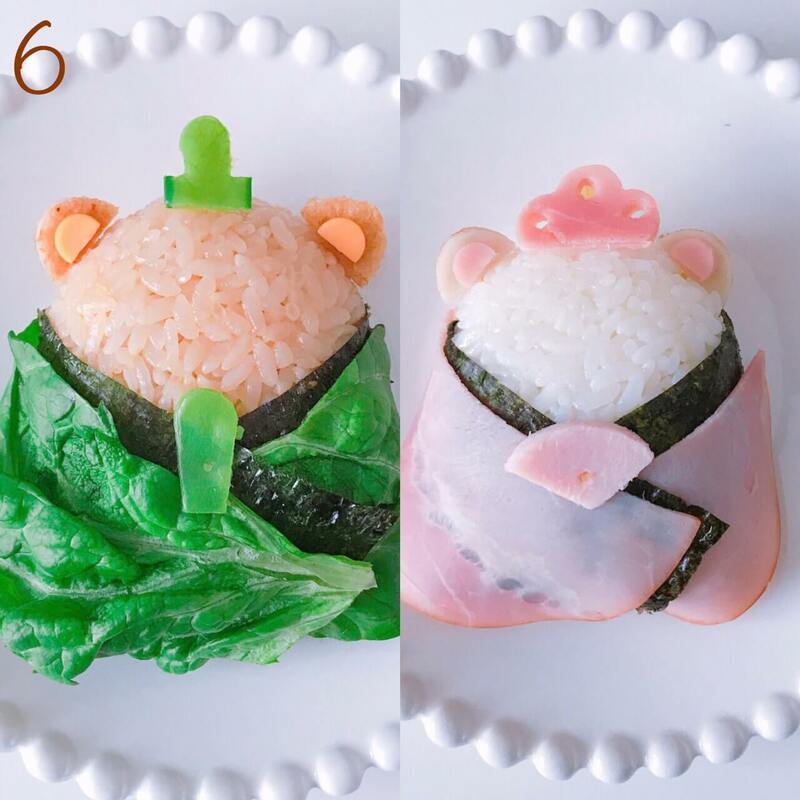 Use sliced ham for Korilakkuma’s rice ball. This time, I also used frill lettuce as shown in the photo. 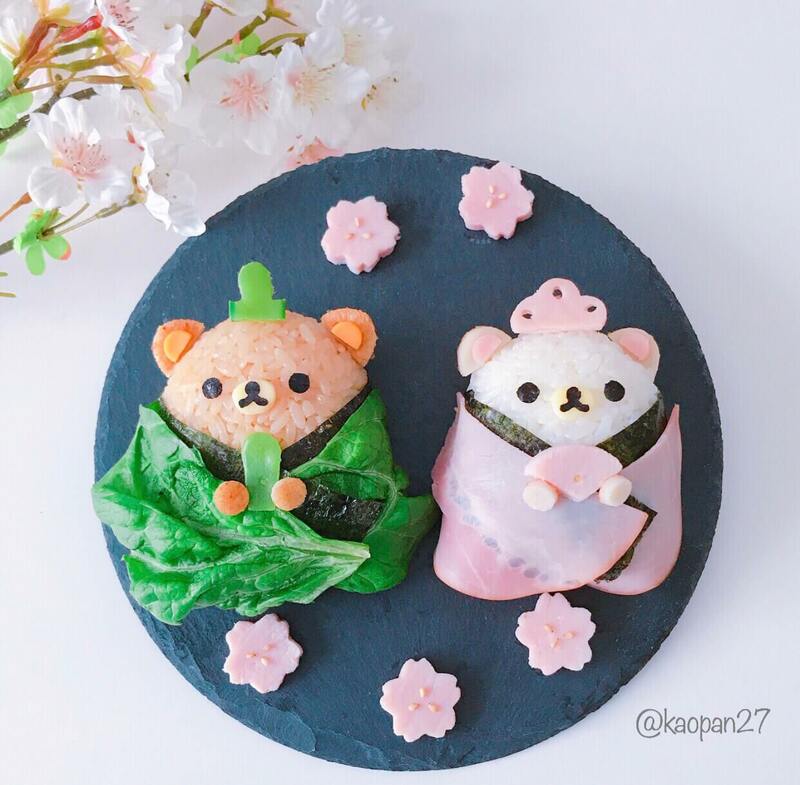 Arrange the shape of the bottom line of the ham/lettuce to make it look like a kimono. 6: Fix the hat, rod, crown and fan with fried pasta. Finished! 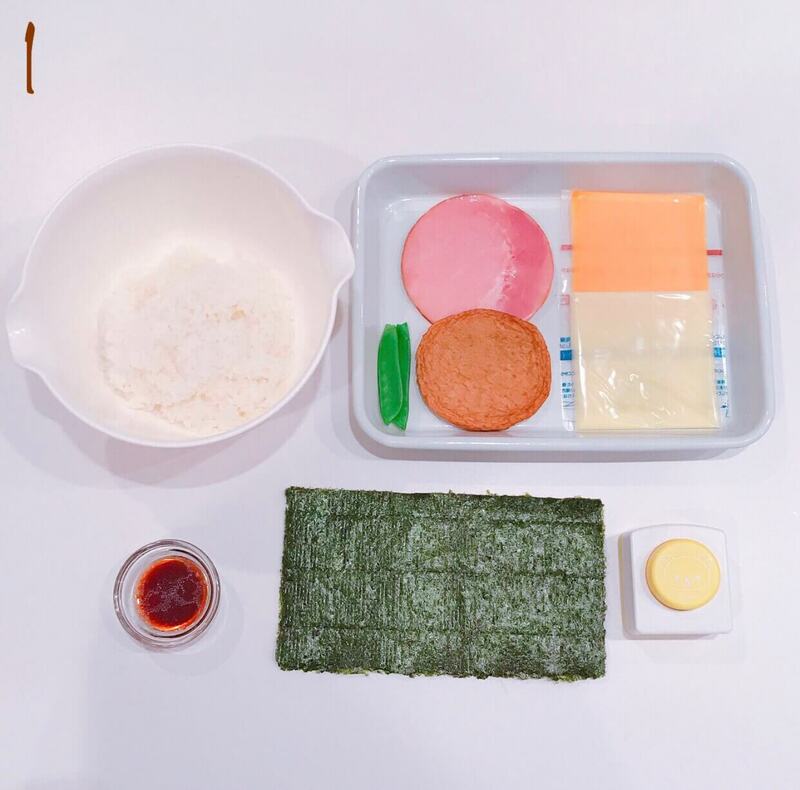 Let’s make hinamatsuri-rice balls and put them into a “bento” lunch box. How to make a KITTY-chan chocolate parfait! Kaori’s easy recipe – learn to make a character-themed chocolate gateau! Daimaru department store celebrates Hinamatsuri with 7 new desserts!